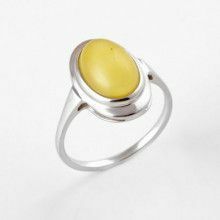 This fairly large amber ring (nearly 1" long) is in the shape of a teardrop. 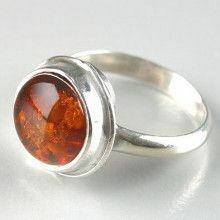 The handmade ring features genuine honey amber from Russia and a thick border of sterling .925 silver. 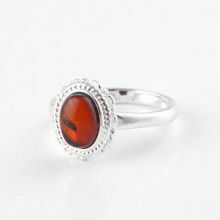 The under-side of the ring is left open, allowing light to pass through the amber to create a natural glow.